Henchman Platform Tripod Ladders are up to the challenge. Amazingly lightweight, stable; and designed specifically for safe work at height on uneven and sloping terrain. 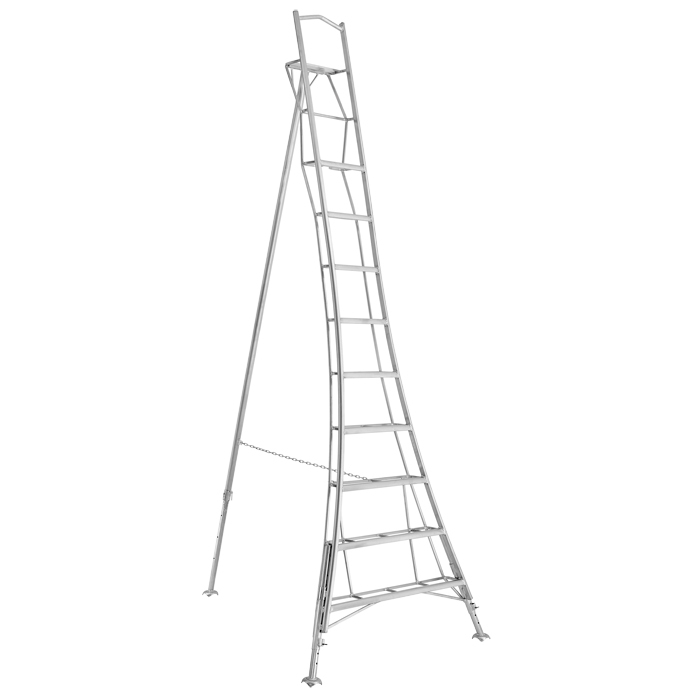 The Henchman Platform tripod ladder is a free-standing garden ladder initially designed with hedge cutting, topiary and tree-pruning in mind. Since then, we have sold thousands to customers for a variety of uses, from window washing and house painting, to lightbulb changing and star-gazing; we have even sold a tripod ladder to be used simply as artwork in a Japanese-style garden. Unique to Henchman Ltd, the combination of a wide 7” platform rung, and three fully adjustable legs with 18” variation, means that we offer the safest and most versatile tripod ladder on the market.Combined again with our distinguished customer service and personal sales support, we are adamant that we will have the best product for you and your garden.